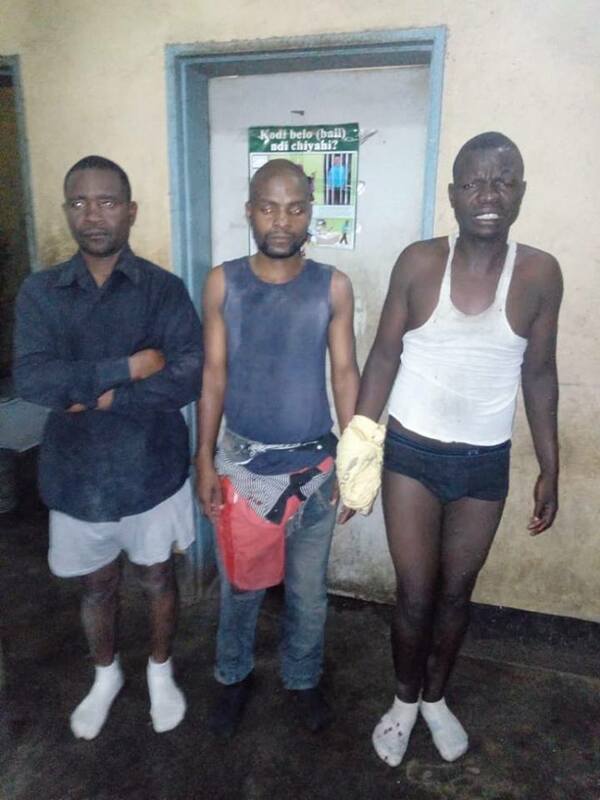 Police in Blantyre have arrested three men who were on a mission to conduct robbery at Fatsa Company in Maselema, Limbe. Thre three have been identified as Twaibu Kalinga, 49, Goodson Chazanda, 27 and Limbani Mafaiti also known as Boyca aged 23. According reports, Superintendent Master Nkhoma of Limbe Police Station on Wednesday received information that there were some men who were planning to rob money at Fatsa Company in Maselema. Following the tip, the officer organized a team of detectives who conducted an ambush at the said Company. At around 16:30hrs, an unknown vehicle dropped five men who were armed with Panga knives at the main gate of Fatsa Company and immediately the officers on ambush proceeded with their act. However, during the process of arresting them, two of the men who have been identified as Dulla and Maduka managed to escape. Police arrested the aforementioned three suspects and also seized the panga knives. Meanwhile, police say enquiries are in process to arrest the other two suspects.